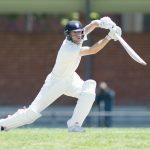 The first XI bowled first against Northcote in their one day match at home on the weekend, and some tight bowling early saw the dismissal of Hassett for 15 by Reid. Scammell picked up Abbatangelo for 19 before a steady partnership between Mark Phelan and Steve Taylor saw Northcote reach 2/150. 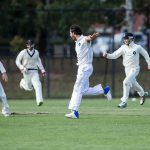 From there, a constant string of wickets saw Northcote slump to 9/201 from their 50 overs, with wickets being shared amongst Agar (3) and Reid 2), and multiple runouts. James Bett and Dan Hutton then set in to create a steady platform for our batting innings, before Bettsy was runout for 7 and Hutton was caught behind for 15. 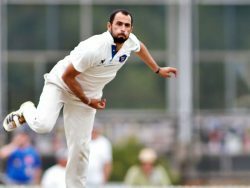 Those two quick wickets brought Yousaf Iqbal and Isaiah Borgas (in his first game back from injury) to the middle, where they put on a commanding 128 run partnership. 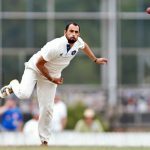 Iqbal crunched 65 off 68 deliveries with three 4s and two 6s, while Borgas smashed 77 off 98, including seven 4s and a six. Both Iqbal and Borgas fell quickly which brought Captain McNeil and Agar to the crease to get us over the line. A small cameo from the two helped the MUCC 1st XI to an easy win, including a bonus point. The team now sits 10th on the ladder, with 6 wins, 4 losses and a tie. With Westgarth St still out of action, the 2nd XI took on the Dragons on the Main on Sunday and took full advantage of pristine conditions. Northcote chose to bat on excellent batting surface but was restricted to 189 losing their final wicket in the penultimate over. 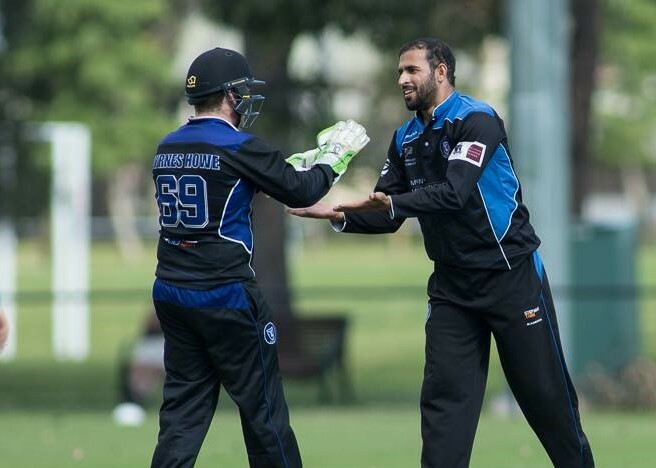 Aaron Boyle relished his return to the Main Oval with figures of 3/35 with Van der Merwe & McLaughlan snagging 2 each. A focus on fielding as a club is being rewarded regularly; Yaksender’s turn this week with a direct hit run out early in the innings to put Northcote on the back foot. A better than a run a ball hundred for Harrison Emms saw the 2s demolish the meagre target in 36 overs to secure the bonus point. Jack Wrigglesworth enjoyed his promotion up the order to finish with 61 not out. Uni finishing 1/190. They sit 2nd on the ladder, 4 points behind St Kilda and an impressive 14 points clear of sixth place and 28 points clear of their R12 opponent Kingston-Hawthorn. An overcast day at Binnak park set the scene for Melbourne Uni to take on Northcote’s 4th XI. Captain Ditchburn fancied his bowlers in the conditions, winning the toss and sending Northcote into bat. Luck didn’t go Melbourne Uni’s way with a 58 run opening partnership before taking the first wicket. 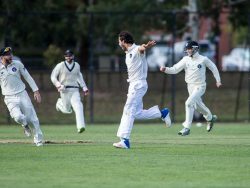 Uni took wickets through the middle overs of the innings, however a late batting surge saw Northcote reach 8/149 at the compulsory close of innings. Wickets were well spread throughout the Uni bowlers with highlights including Laban Ditchburn taking 1/19 from 9 overs and Ned Bennett taking 2/38 from his 9 overs. MUCC began their run chase behind the eight ball and never looked likely to get even as Uni lost constant wickets throughout the chase. Resistance was given by Caleb Barass (24) and Thushira Gammune (46), with MUCC eventually bowled out for 126 after 40 overs, going down to Northcote by 26 runs. Melbourne Uni set to get back amongst the wins next round going into the start of the two-day matches. It was the women’s first game since 29 October and that sort of gap can leave a mark. Complacency sets in and the girls were beginning to wonder if they were going to play sometime before Christmas. Between forfeits, washouts and byes, it had been six weeks since the girls’ last hit out so it almost felt like it was starting the season all over again. Playing in the first T20 of the season, the girls made the trek out to Gisborne and were met with glorious playing conditions upon arrival. Gisborne won the toss and elected to bat first. The girls shared the bowling and shared in the wickets with three bowlers snaring two wickets each. Cath Grant led the way with 2/9 from 4, new recruit Emma Sampson chipped in with 2/16 from her 4, Sophia Luikinga took 2/21 from her 4 and Emma Collard took a tidy 1/14 from her 4 overs. Gisborne finished off with 7/94 from their 20 overs. Sophia and Emma Collard opened up the batting and the result was never in doubt. Emma smashed a very entertaining 55* with ten 4s and two 6s, including a 6 to bring up her 50. Sophia pitched in with 12 and Emma Sampson cameoed with 12 of her own and hit the winning runs in the 9th over to win by 9 wickets. The girls only played with eight players but really weren’t fussed about playing short. It had been so long since we had a run around, we were just grateful to be out and about playing cricket again and in a great spirit. Next week, we have the traditional pre-Christmas fixture against Carlton/Brunswick, which is billed as one of the most important of the season for the girls.